I want 10. When will the limit be removed? There are no plans to remove the limit. The limit has been put in place by the Pi Foundation and carries over to all of their distributors (including us). Sorry for any inconvenience this causes. We do sell our Basic Kit which does not have a limit and includes all the cables you need to get started (since the board requires less common ones). Answers my question... I do not want to buy under this requirement. Im not going to buy all the extra baggage for a $10 board. 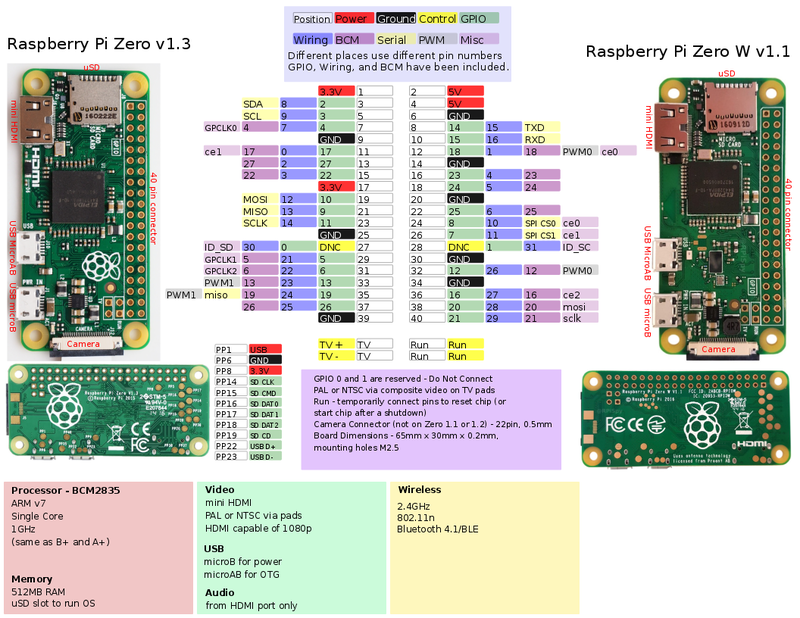 Pi foundation need to pull out the proverbial head from the proverbial hole and JUST MAKE MORE of the zero/zeroW. Stop playing this game. It IS NOT like it cannot be done. It's really annoying to have to buy these one at a time. Otherwise, it's an absolutely awesome product at a fantastic price. Using class 10 SD cards, the I/O performance is a lot slower than even rotational drives. Doing an apt get/upgrade takes a while. I have 4 of these all with different class 10 cards and the results are all the same. With that ONLY negative out of the way, I'd say these are otherwise amazingly useful. Gone are the days of low-level programming over a USB port. Today, we have a full Linux machine complete with pre-installed software like gpio, raspistill and raspivid for working with I/O and cameras. This greatly reduces the time it takes to develop with these devices. Throw in on-board wifi (I get about 1.3Mb/s average on mine) and there isn't much more to ask for. Bravo! I've used Pi-w's in several projects now from audio playback device to autonomous robot with a camera and they just work out of the box. The addition of wifi was something that put the icing on the project cake. At 10 bucks and roughly P4 performance you cant go wrong. No wonder they can't keep them on the shelves. 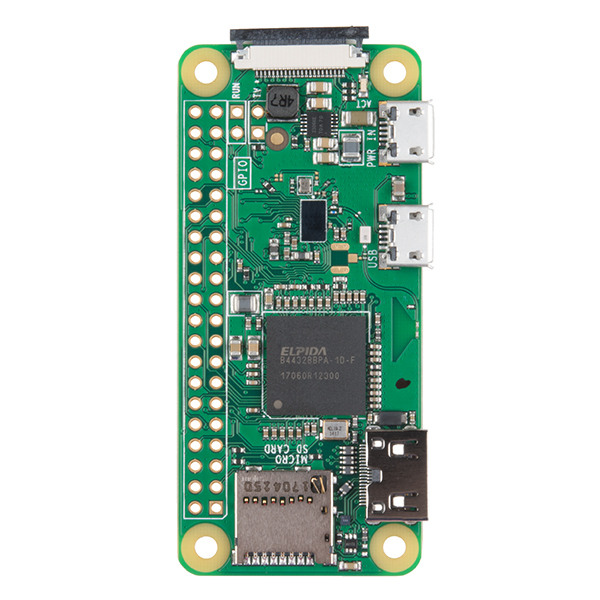 The best Raspberry Pi Zero so-far ! 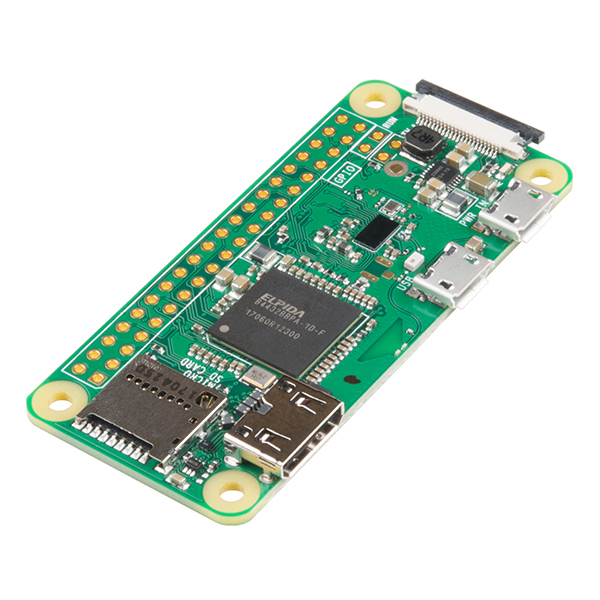 The Raspberry Pi Zero W has almost everything you could want in a tiny package and cost close-to nothing - What is not to like ! Attached an SDR and using it to provide remote weather data to my home control system. Couldn't have been easier or less expensive! for automation projects that have power but not data run to them, this device is hard to beat. I paired this with a 10W LED (and driver) to make a mulitcast alarm indicator for my ZoneMinder monitored ethernet cameras. Now I know when someone approaches my front door and I can move the indicator where ever I want (or build more) as needed. That assumes availabiilty of this part though. At this price, there will always be high demands for such a device. Just need to get them PXI booting! Love it! RPi Foundation just has to keep up with demand! I'm using it to drive SK6812 RGB LEDs with adafruit's neopixel python library. Great fun! Powerful processor yet Power Efficient. Running great as a small headless server, with Arch Linux. Can be used in a conductive enclosure, via an unpopulated UFL connector. As far as I know the serial port is used for the Bluetooth connection and so my project can't utilize the hardware UART without disabling Bluetooth, but for my current project is a non issue. WiFi connection is pretty good ~22Mbps down and 11Mbps upload, though the antenna has quite a few lobes and a few nulls; this isn't a problem though when connecting an external whip antenna via populating the UFL connector. 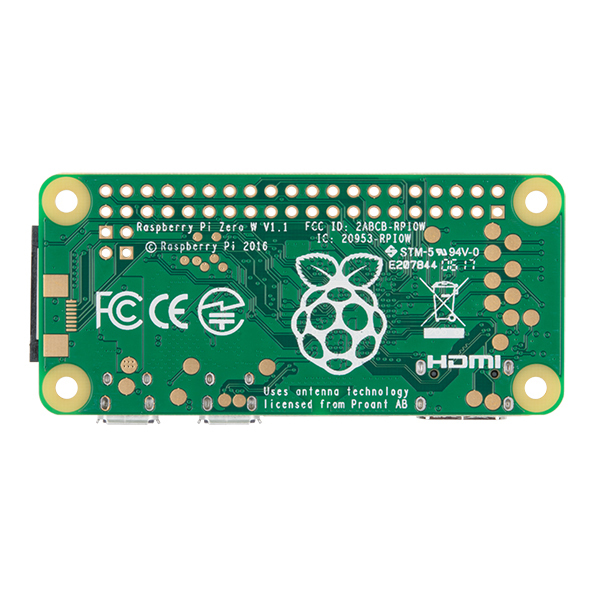 This is my first raspberry PI project, not that I haven't wanted to try one out. 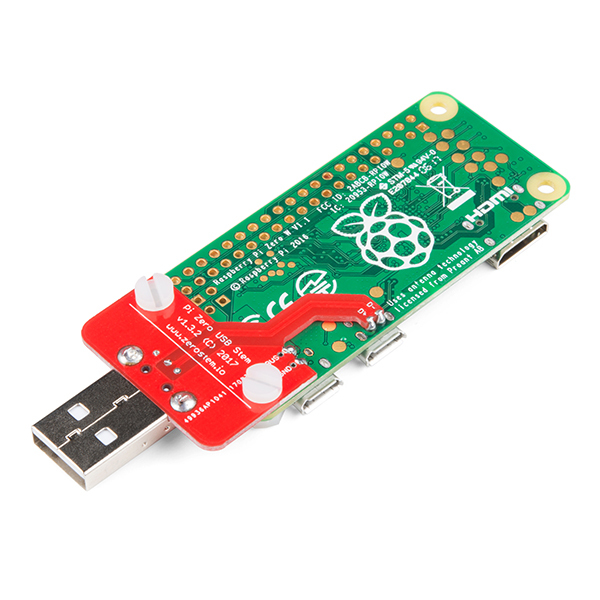 The only problem was that I couldn't justify the $30.00us plus cost of a original PI for a simple project. 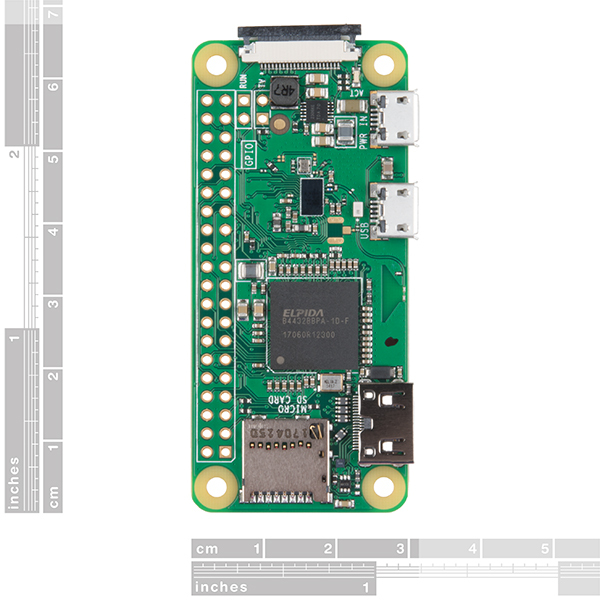 The Raspberry PI zero W changed all that. For just $10.00us I could have it all in a small package. I could not say no. I choose a 3D printed robot with a cheap camera as my introduction to the PI, and I must say that it was so easy to use that I was kind of disappointed in a way. I wanted to tell everyone that I spent nights recompiling code and re-flashing chips, wiring interface boards etc, but as it turned out I just plugged in the camera, copied the OS and code onto the SD card plugged it in and turned it on. It all just started working and working well, and my wife showed a few seconds of interest that I am confident wasn't faked. Once I have completed this robot I will definitely be buying another PI zero W.
Sorry but this product does not work with internal wifi, we have to put a dongle. It sounds like you may have a defective unit. Please contact our tech support team at techsupport@sparkfun.com for help. Things are fine other in the fact that it took 2 weeks for FEDEX to get it to Wi. I gave up and ordered a zero from Newark in SC and it got to me in 3 days by usps. I also ordered some items from AllElectronics in CA and I had it in 3 days by usps. I don't use SparkFun any more on my bom(s) to my customers. It's great to be able to have a source for these at a substantially reduced price (vs Amazon's price of 25$), since I'm building a more than a few personal IoT projects based on them. works as intended. Kudos to SF for sticking with the official price. excellent trade off between low power usage (~150mA) and capabilities (still running a full Linux system + WiFi). I used with a camera module as part of a smart home monitoring system with another RPi 3B as the server (MotionEyeOS + MotionEye). Can't beat the cost compared to commercial CCTV solutions. It's nice to be able to get the zero w at list price here. I have an assortment of project ideas for these now so I will be buying more in the future. The one I received from sparkfun is slightly damaged but seems to function fine, at least for my purposes. The black component labeled 4R7 adjacent to the camera connector is chipped. I'm not sure what that part is or if the damage prevents any functionality from working but I figure it's worth reporting that the product is being shipped in this kind of condition for those who care. It's pretty common for there to be small chips in that part. (It's an inductor) If you have any trouble with it, let us know though. I am really impressed that the zero's size is much smaller than I thought. Haven't started tinkering with it yet. But can't stop thinking of what to use it for. Great price, easy start-up, practically plug and play. A well-supported, all-inclusive single-board wi-fi enabled computer for $10 that can fit in your shirt pocket! What's not to like? The least impressive function of this board is the WiFi performance. With my experiences with the 3B, 3B+ and latest 3A, it is about 10dB lower than other RPi I have when measured at the same location. When I used it with a PCM5122 DAC hat to play the lossless compressed music was paused many times during the play back of the 10 files from a CD collection. These are the best raspberry pi produced to date. Nowhere else can you get this powerful (and well supported) computer with WiFi, Bluetooth and high res HDMI video! Please continue to carry them! I found a great cheap, extendable sound controller for the different rooms in my house. This PI + a cheap ebay PCM2704 sound card + sd card + this guys project https://github.com/mikebrady/shairport-sync turns this device into something I can reliably use as an airplay destination. It took a few hours to set the first one up.